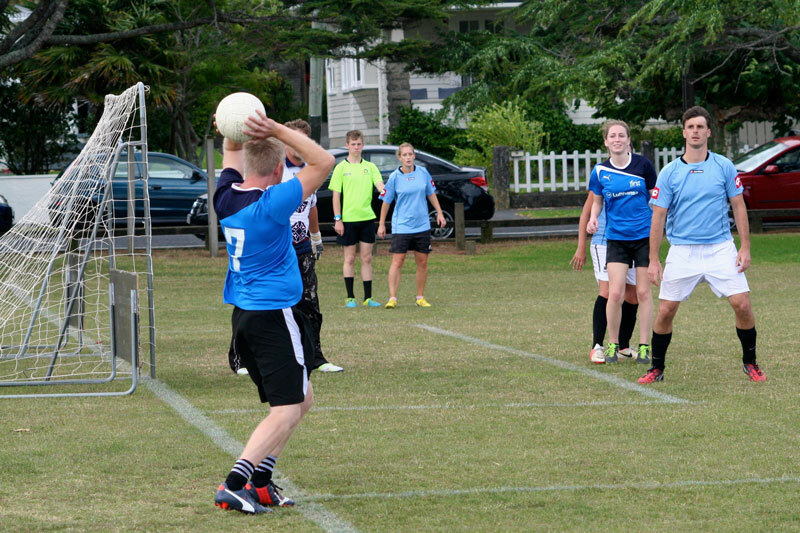 SUB Football is a unique version of 7-a-side soccer in a fun and friendly format. The game is designed to encourage people of all levels to play. Players are not permitted to use force when taking or attempting to take, or keep the ball from an opponent. The unique scoring system allows for a more exciting and higher scoring game, with 3 points for a goal and 1 point for a board. For the complete list of rules and regulations see below or download the PDF copy of the rules here. If you're a seasons player, you should know some rules have changed in 2018. See them here. Games are refereed by SUB Football qualified referees. The referee's decision is final. There is no need to tell the referee that you’re subbing, except in the case of the goalkeeper. Substitutions must be made at the half-way point, and the player must leave the field before the substitute comes into play. Failure to substitute in this manner may incur a penalty or a sin-bin to the offending substitute. The goalkeeper should only be substituted during a stoppage in play, and the referee informed. Exceptions may be made in particular competitions as listed on the SUB Football website. The "outfield" means all players excluding the goalkeeper. 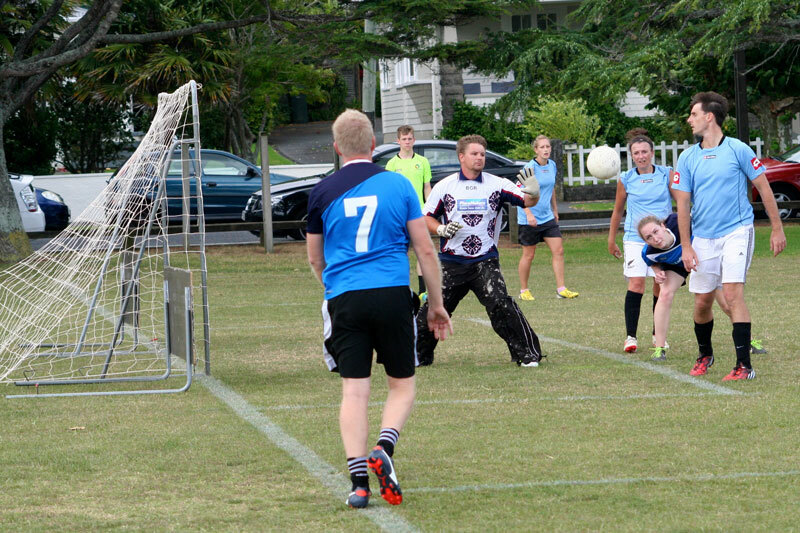 To field a full team of seven in a mixed competition you will need one goalkeeper (of either gender), plus at least three females. Uniform shirts must be the same colour and preferably the same style and print. Uniform shorts and socks are not compulsory. 1.5. Goalkeepers must be identified with a different coloured shirt or bib. If worn, shin pads must be covered completely by socks. Screw in sprigs or metal sprigs are not permitted. Sneakers, turf shoes, or running shoes may be worn. Bare feet are not allowed. 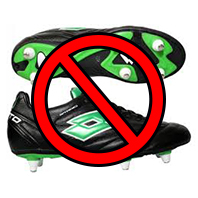 In the case of a player wearing incorrect footwear, the player must leave the field of play and may be substituted, but cannot return to play unless they acquire appropriate footwear. Simple stud or sleeper earrings may be worn at the player’s own risk. Prescription glasses may be worn at the player’s own risk. 2.1. Games start at 6pm, 6:40pm and 7:20pm sharp in spring and summer leagues; at 8:05pm, 8:40pm and 9:15pm in autumn and winter. Failure of a team to field a team within 5 minutes of the scheduled game start time results in a 9-0 default score. If your team is aware that they are unable to field a team prior to the night, the team manager should inform the venue manager – see the contact page for details. 2.3. The match ball will be provided by SUB Football. The ball must be stationary when the kick is taken and the kicker is not permitted to touch the ball a second time until it has been touched by another player. A goal or board may be scored from kick-off. 2.5. There are no off-sides. Infringements of this rule will result in a free kick being awarded to the opposing team. If the infringement takes place in the penalty area or directly prevents a goal scoring opportunity - either by a player or a goalkeeper handling the ball outside of the goalkeeper's box, a penalty goal may be awarded to the opposing team. The boards flank the goal. One point is scored when the ball makes contact with the board from within the field of play. If you are so unlucky that the ball hits the post between the goal and the board, play continues, no points are scored. The ball is out when the whole ball crosses the whole line. The throw-in or kick-in must be taken from this point. A throw-in must be done so with two hands using equal force, while facing the field of play. Both throw-ins and kick-ins should be taken from behind the boundary line. The ball must be stationary on the ground for a kick-in. The delivering player is not permitted to touch the ball a second time until it has been touched by another player. If the ball fails to enter the field of play, it is to be re-taken. If a player taking a throw-in or kick-in does so incorrectly, it is to be re-taken. A goal or board may be scored from a throw or kick-in. A corner kick occurs when the ball crosses the end line off a defending player. A goal or board may be scored from a free kick. 2.11. Opposition players must stand 5m from the ball during a free-kick, at kick-off or when the ball is thrown or kicked in from the sideline. The goalkeepers area is the rectangular box in front of the goal. The purpose of this box is for protection of the goalkeeper, and other players are not permitted in the area. A defending player may enter the box only to take a goal kick. If a defender enters the box in order to attempt to prevent a goal being scored, a penalty goal may be awarded to the attacking team. This includes running through the box to gain an advantage. If an attacking player enters the box during active play, a free kick may be awarded to the defending team. If a goal is scored and then the attacking player enters the box, it is at the referee’s discretion whether the goal is allowed based on whether the player made an effort to avoid entering the area. If any threat to the goalkeeper is thought to be posed through entering the box, the goal may be disallowed and the player may be sin binned or sent off. The goalkeepers box area is the rectangular box in front of the goal. If the goalkeeper handles the ball that is in the air but outside the box, while his feet are inside the area, it is considered a handball, and a penalty goal may be awarded. That is, it is the position of the ball that determines the offence. If the handball was not a game defining advantage - ie it does not prevent a goal scoring opportunity, then the attacking team may be awarded a free kick from outside the penalty area. Once handled, the ball must be thrown in only; it cannot be put on the ground to then kick. It cannot be kicked from the hands. A goal kick occurs when the ball crosses the end line off an attacking player. 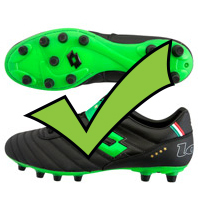 The ball, when kicked, must clear the penalty area (applies to spring and summer leagues only). If the ball does not clear the penalty area the kick shall be re-taken. If an outfield player takes the place kick, they must clear the goalkeeper’s box immediately. The kicker shall not play the ball a second time until it has been touched or played by another player. Players of the attacking team shall remain outside the penalty area until the ball has cleared the penalty area. If this occurs a free kick is awarded to the opposition, taken from the location where the pass-back occurred. This excludes errors associated with goal kicks or throws, in which case the goal kick or throw is to be re-taken. Any other offence committed inside the D should result in a free kick to the opposing team, taken from the edge of the D if awarded to the attacking team. 4.1. The referee’s decision is final. 4.2. Aggressive or violent conduct, foul play, referee abuse, spitting at others, and offensive speech will not be tolerated. failure to respect the required distance when play is restarted with a free kick, corner kick or throw-in/kick-in unless the restart is taken quickly. 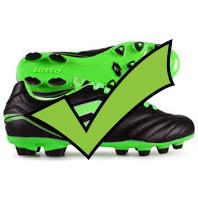 The player can return to the field only when the referee indicates they may do so. A substitute player may go on for them only at the end of this time penalty. Two yellow cards in one game given to the same player results in an instant red card. The offending player and the team captain or manager must see the referee immediately to record the player’s name. The team must play a player short for the remainder of the game. The sent-off player must stand down for a minimum of one week (missing the next scheduled game). The offence will be taken to the SUB Football disciplinary committee, and the player will have the chance to reply to the committee’s decision. In serious cases, the player will be banned from competition.